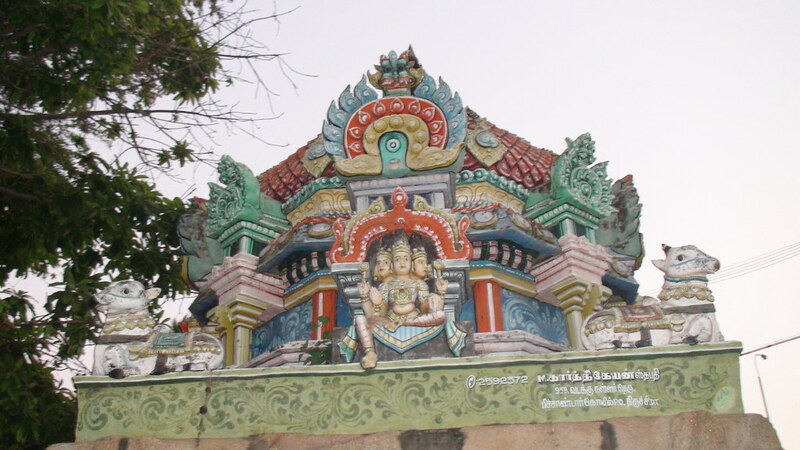 A Divyadesam temple of Lord Vishnu. An unique temple, where all the trinities of Hinduism (Lord Vishnu, Lord Brahma and Lord Shiva )along with their consorts are worshipped in one temple. Having Brahma worship in a temple is even rarer. 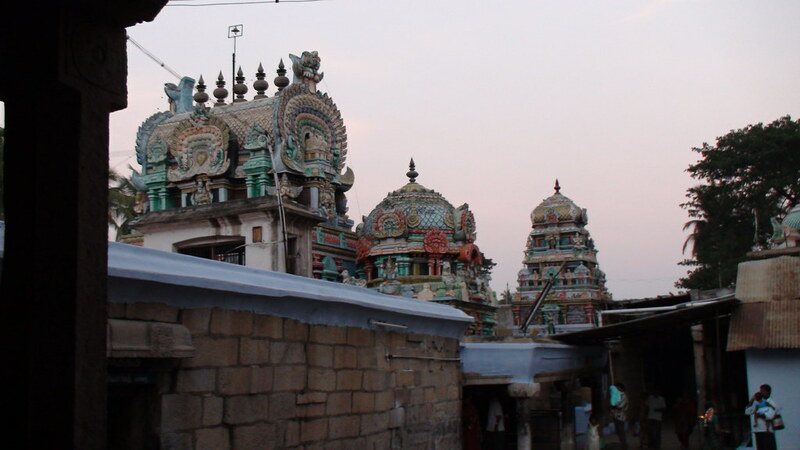 Besides, this temple has a famous Guru Bhagavan of Navagraha shrine. Thousand attend the – Guruwar pooja on Thursdays. Many other deities of both Saiva and Vishnu Sect is also worshipped. A place for Saiva-Vishnava sangamam that we can say. The place is known as Pichandarkovil as Lord Shiva was relieved of His doshas here. As Lord Vishnu stood here as Kadhamba tree, it is also known as Kadhambanur-Karambanur. Husband and wife should live in unity understanding each other, a life described Uthamba meaning best, hence, the place is also known as Uthamarkoil. As all the three Lords grace here with their respective consorts, Tirumangai Azhwar had praised this temple in His Mangalasasanam as Uthamar koil. It is believed that families will prosper with prayers in this temple. Devotees pray to Lords for child boon and relief from adverse planetary effects. Devotees perform special abishek and archanas to Lord Mother with nivedhanas. Brahmma too had five heads as Shiva. Once Mother Parvathi mistook Brahmma to Shiva and offered Him services. Lord Shiva plucked off one head of Brahmma to avoid the confusion between the two. This resulted in Shiva incurring a Brahmmahathi dosha. The skull of Brahmma stuck to the hands of Shiva which He could not separate despite all efforts. All the food offered to Him was consumed by the skull and it never was filled. Holding the skull, Lord Shiva came down to earth as a Bikshadana with His skull bowl. When Shiva came to this place, Lord Vishnu asked Mother Mahalakshmi to offer food in the bowl. When Mahalakshmi did so, the bowl began to over flow and quenched the hunger of Lord Shiva, hence, She became to be praised as Pooranavalli – one who fulfills the requirements of the needy. Lord Brahmma the Creator had the grievance that He did not have a temple for Himself though He too held a position as high as the three Lords. Lord Vishnu made Him born on Earth. He was worshipping Lord Vishnu. To test His Bhakti, Lord stood there as Kadhamba tree. Brahmma did not fail to recognize Vishnu in tree form and began to perform pujas to the tree. Lord Vishnu told Lord Brahmma that He had to continue His presence there with Pujas and that He would be worshipped by devotees here even though there were no temples for Him due to the curses He incurred. Brahmma stayed here. A shrine was later built for Him. Mother Gnana Saraswathi, without Veena but with palm leaves and Japa Mala in Her hands graces from a shrine left of Lord Brahmma. Devotees worship Lord Brahmma with curd rice and Aathi leaves and Mother Saraswathi with white clothes for longevity and achievement in education. Special pujas are performed to Lord Brahmma on Jupiter transition day – Guru Peyarchi. Lord Vishnu in His reclining form is facing east. Procession deity is in standing form with Prayoga Chakra (discus) under the Udhyoga Vimana. Mother Poornavalli promising food in plenty graces from a shrine near Mother Mahalakshmi. A rare darshan of two mothers awaits the devotee here. Lord Shiva, in Linga form graces from behind Lord Perumal. He also graces as Bikshadana in the ghoshta – wall around the sanctum and also as procession deity. Lords Shiva, Brahmma and Vishnu also grace from their respective shrines with their consorts. This is the only temple where all the three Lords grace devotees together. The Karthikai festival in November-December is celebrated at three directions for the three Lords by burning the Chokkapanai (a palm leaf set up around a tall palm tree stem). Theerthavari festival is celebrated in Coleroon river (Kollidam) for Lord Shiva on Thai Poosam day (January-February) and on Masi Magam day in February-March for Lord Vishnu. The seven Jupiter (Guru) deities, Dakshinamurthy for Shiva, Varadaraja for Vishnu, Guru Brahmma, Shakti Guru Soundarya Nayaki, Gnana Guru Subramanya, Deva Guru Jupiter, Demon Guru Shukra are worshipped with special abhishek and pujas, hence the temple has the reputation of being adored as Saptha Guru (Seven Gurus) Sthala-place. Sri Uthamar Kovil - Sri Pichandar Kovil – 621 216. Manachanallur Taluk, Trichy district. Phone: 0431-2591 466, 2591 040.